Of these causes of pain, the first four almost always have their pain remaining in the mouth. They may sometimes have pain radiating from their oral source into neighbouring tissues. The pain seems to always remain more intense, close to it’s source. It would be incorrect to list these as a source of ‘headache’. The final three on the list can all cause pain, which may often be described as a headache or facial pain. Temporo-mandibular joint dysfunction (TMD) has been covered in a separate section, and is a common cause of facial pain / headache. A dental abscess can cause pain in the face (usually from an upper tooth), or pain in the area of the lower jaw (mandible)- (usually from a lower tooth), due to a build up of pressure from an infection which is eminating from the pulp chamber of the tooth, causing pressure along tissue planes. The pain caused can be quite severe. This type of situation can also occur from other infections within the mouth, particularly from those related to the peridontium (gum region), and impacted wisdom teeth; but are much less common in occurrence. The appearance of a patient with this type of infection is quite obvious, and must be treated quickly with antibiotics. Fortunately, most infections in the oral tissues are diagnosed and treated before spreading, and drain away into the mouth. A ‘dry socket’ is simply an infection on the surface of the bone, after an extraction. Due to it’s position, it is protected somewhat from the body’s natural defences, as well as antibiotics. Patients with this condition typically complain of pain in the general extraction area, and sometimes pain will be reported in the face, and radiating up into the temple and down into the neck. This facial / temple/ neck pain may be the only symptom. If the patient fails to get treatment early for this condition, the pain will continue to become more severe. 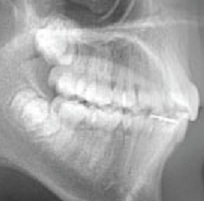 This problem will always be associated with a recent extraction (2 to 10 days prior). Other causes of pain from the oral cavity which could be said to cause headache / facial pain, are from mucosal (soft tissue) problems. Fortunately, these are rare in occurrence. Some examples of these are: Lichen Planus / Acute Necrotising Ulcerative Gingivitis (ANUG) / and Bullous type disorders. For further information on these issues, consult your family dentist or the Dental Association in your state. Dental and Jaw problems may contribute to Headaches and Migraines, so it is important to have them professionally addressed. It is also important to investigate for other potential causes as many cases of Headaches and Migraines have more than one ingredient.